Newcomer No Fun No Gain lived up to his solid barrier trial form and $15 favourite tag with a gutsy winning debut in the $85,000 Restricted Maiden race over 1200m on Friday night. A NZ$130,000 purchase as a yearling, the three-year-old colt by Pins had to contend with a wide alley (nine), but as he mustered early speed on the outside, he just kept rolling to eventually take up the running without burning too much petrol. Shamarman (A’Isisuhairi Kasim), who flew the lids and then tried to stack up the speed, handed up the lead when No Fun No Gain came upsides three wide at the 750m mark. Keeping up a steady pace, No Fun No Gain pressed on and was the first to greet the judge at the corner, but was soon set upon by second fancy Mach (Glen Boss) and Trapio (Matthew Kellady). How he would handle the pressure was the real acid test, but No Fun No Gain showed he had been well prepared for that first assignment, topped off no doubt by his winning barrier trial on August 30. A picture of resilience inside the last furlong, he held his two challengers safely at bay, going on to score by half-a-length from Mach with Trapio third another 1 ¾ lengths away. The winning time was 1min 10.33secs for the 1200m on the Short Course. Winning trainer Stephen Gray said he bought No Fun No Gain himself with his eventual Australian owners deciding to make him the trainer as well. 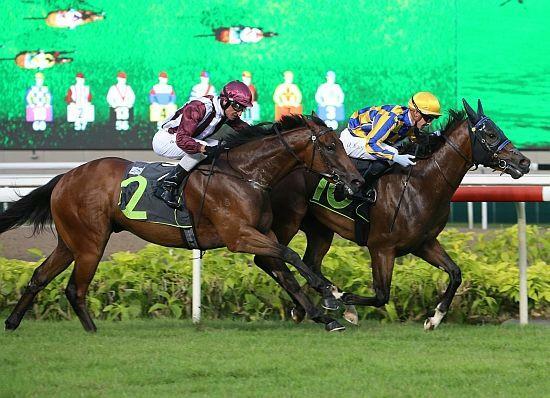 “I bought him as a yearling, and the owners are a group from Australia who decided to keep him to themselves and send him up in Singapore to see how he goes,” said the Kiwi handler. “If he goes okay, they might send more over. So, it’s quite exciting the horse won first-up tonight. “The thing is he’s a bull and I was a bit nervous he might be naughty at his first race. He jumped so good that Dan had no other choice but to go forward. Moor confirmed that No Fun No Gain was blessed with ability, but was not quite the finished article yet. “I wanted to ride him cold and educate him at his first run, but he got a bit stirred up in the early stages,” said the Australian jockey.